Wednesday, April 4, 2018, 3:00 p.m. – 7:00 p.m.
April 4, 2018 marks fifty years since the United States murdered Dr. Martin Luther King and The Dream Defenders are going to commemorate his life, and legacy along with all the lives we have lost to violence with the largest funeral procession in South Florida history. Learn more here. Thursday, April 5, 2018, 7:30 p.m. – 9:30 p.m. In Good Company Miami invites men of ALL races and backgrounds for a special discussion on race. Invite your friends, brothers, father, uncles, and cousins for this much needed discussion. Learn more here. Thursday, April 5, 2018, 10:00 a.m. – 9:00 p.m. Enjoy free admission to the museum and check out the newest exhibition, Meiro Koizumi: Battlelands. 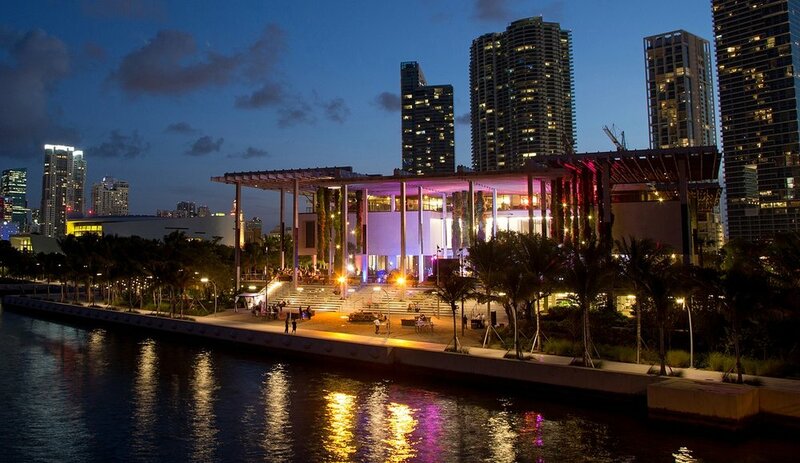 That evening, join them for PAMM Free Community Night: Pride. Learn more here. Friday, April 6, 2018, 10:00 p.m. – 3:00 a.m.
Come out to NO BOYS ALLOWED! Fellas will not be permitted entry unless he's coming with a female. RSVP will be required for any type of entry. Learn more here. Saturday, April 7, 2018, 3:00 p.m. – 4:00 p.m. Instead of a book, check out a poet! Check Out a Poet makes South Florida-based poets available to the public at various Miami-Dade County libraries throughout the month of April. Spend 15 minutes with a real poet – hear them read, ask them questions, show them one of your poems. First come, first serve. Learn more here. Saturday, April 7, 2018, 5:00 p.m. – 10:00 p.m.
Join Social Xchange for Day La Soul, a monthly ritual of takin it back to the 90s & 2000's. Day La Soul Is an old school hip hop dance party featuring the best of 90s and 2000s (Hip Hop, Reggae and R&B) Be Ready to Dance and Sing from your soul! RSVP ASAP! Limited Tickets Available. Early Arrival Suggested! Learn more here. Saturday, April 7, 2018, 5:00 p.m. – 2:00 a.m. Hangout at the first Saturday Sesh of the year on April 7th, at The Wynwood Yard. Coffintexts, is returning and sure to have everyone on the dance floor after a couple of drinks. There will also be live performances by: Mustard Service, Remyz Music, Fatsun band, Myster Craig and more. Learn more here. Sunday, April 8, 2018, 11:00 a.m. – 1:00 p.m.
Join O Poetry for the first workshop, THAT’S NOT MY /NEIM/ as they explore the personifying power of names and identity within a playful but incisive context. Participants of all genders, races, and ethnic backgrounds will submit their true or chosen names, nicknames, and name-related stories to later be published in sites of public transaction and name-calling. Learn more here. Sunday, April 8, 2018, 2:00 p.m. – 6:30 p.m.
Come out to Live and Well Party, a Day Party with Vibes, VIP Tables and Vendors all promoting self care in Miami! Hosted by: @Iamnatalialilly, @kingdocious. Musical Vibes by: @305djskinz, @Iamspinelli, @Paperwater, @Radiojamez//Featuring Drink specials and Free entry W/RSVP! Learn more here. Sunday, April 8, 2018, 7:00 p.m. – 11:00 p.m.
Tailgate Social embodies the mobility of art and its power to spread culture. Tailgate Social is an art exhibition in which moving truck trailers become galleries and stages for visual art and live original music. Enjoy drinks, music, art & Performers on top of trucks filled with visuals. Learn more here.